A few days ago I announced on my Instagram that I had begun paid freelance writing, and that I kind of fell into this because of blogging. Since then, I’ve had several friends (in person and online) ask me, “How did you make your website?” And to answer everyone, I decided to make this post. But there is another really, really important reason that anyone considering a blog or website needs to read this. I’m in a few “blogging networks” online. And recently, a few online acquantainces of mine posted within these networks that they had lost THOUSANDS of dollars to freelance website designers. This was before they had even put up a single post. These were both people with the intent to monetize their sites, but instead found themself out a lot of money and completely discouraged. Both have no intent to blog again in the future. My heart sank and my chest got tight as I read their long, pained recollections of what had happened. Unfortunately, the way their stories read, it did not appear that legal action would be possible. These people had begun something new and scary, and others online took advantage of that. I don’t want that to happen to you. If you want to start a website, I encourage you to do it in the CHEAPEST way possible, and to upgrade once you are making real money. Please, don’t put yourself into a situation of large financial risk for a website right out the gate. That adds so much more pressure when there is already a learning curve to blogging. Believe it or not, blogging does take a decent amount of work, even if it’s just a hobby. If you have any intent to monetize, put in the work over the dollars at first. But you DO NOT need to spend thousands of dollars to set up a simple site, create a logo, or anything like that. If you intend to monetize, a website will not be totally free, but it certaintly doesn’t need to cost much! What I’m going to do is walk you briefly through the following. First things first, you need a domain name, and a web host. I’m also going to say that you will need WordPress.org once you have those. So three things. Now, I wish I could tell you that you can create a website for free, but that isn’t true if you want to monetize. 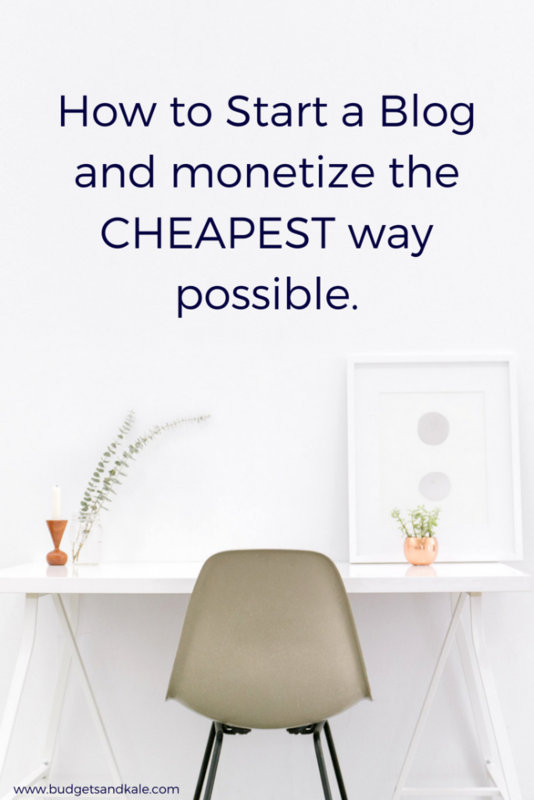 If you want to monetize, you will have to pay some money. Think of it as your “rent.” You are renting a place on the internet by paying for your name and web host. But the good news is that you can start really, really small. Which means that you can do this fairly cheap! I’ll show you the cheapest. In fact, for the average person it will cost under $60. The CHEAPEST way to get a domain name is almost always NameCheap.com …they have website names as low as $0.48 a YEAR. Those typically have crazy ending though, like “mywebsite.xyz” instead of “mywebsite.com” More realistically, your domain will probably cost $10-$12 a year if you want something that ends in “.com” If you don’t mind a “.net” or “.org” then you can scrape by with a bit less. The Next Step is Web Hosting. I use, love, and recommend SiteGround. I did a lot of research before deciding on my web host because speed is everything in the world wide web. SiteGround is also really affordable. In fact, the plans start at $3.95 a month. TAKE THE CHEAPEST OPTION. Seriously. They will try to upsell you, but keep it the cheapest for now. You can always upgrade later. Now in full disclosure, I’m an affiliate. that means I get a comission if you use SiteGround through my link (which I appreciate sincerely). What I just did was cut down my own potential profit by telling you to take the cheapest option. Why? Because I want you to actually do well and not lose a ton of money. I want YOU to create a website without spending lots of money. And on that note, you may hear more about other web hosts being a great web hosting option. But what I learned in my research was that some other hosting site pay out more to affiliates. That means other websites may be more inclined to talk about those sites because it gives them a higher return. Keep in mind, I could’ve signed up to be an affiliate for those other sites to make more money regardless of if I actaully used them or not. And sadly, some bloggers do this to make more money. I wish this didn’t happen, but this post is an attempt to get you set up for success. Part of that is being aware of poor practices in the industry. This is where a lot of people seem to run into paying a lot of money. Aspiring bloggers go out and hire website designers or logo designers etc to make them something pretty. You don’t need that if this is a starting blog. Get set up with WordPress.Org – Siteground is already set up to do this, which is another reason I have enjoyed them. Click here for a tutorial on How to Install WordPress. This is the exact tutorial I used too! All of those plugins are FREE and will make your life much easier if you choose to create a site. None of those are affiliates, they are just awesome. A quick way to see more official is to create your own email with your domain instead of a gmail account. My email is rachel@budgetsandkale.com…but I used to have a gmail account associated with my site. Making the switch (which was included free with my web hosting) made everything feel more official. There are tutorials on setting up email and getting email on your phone here. Many companies run through affiliate networks (VigLink is my favorite, but Share-a-Sale, Rakuten, Impact Radius are a few others). Amazon Associates is probably the most widely used. Some of these sites have stricter application processes. Don’t be afraid to apply again after you have become better established. Talk about the things you love even if they don’t offer an affiliate comission. Give your readers value. I love Schmidt’s natural deodorant. I have zero affiliation with them directly. Yet I tell anyone who asks me about natural deodorant about them. There are other natural deodorant brands that I have access to affiliate income from….but I don’t walk about them because they don’t work for me. And I’m cool with that. Add in multiple links to the same thing. If you mention a product or service, have a link every time that product or service is mentioned. Maybe your reader missed the first one. Maybe every link gets the reader a little more curious. Maybe it takes three or four links before the reader clicks. That makes a difference! This was my very first affiliate link. 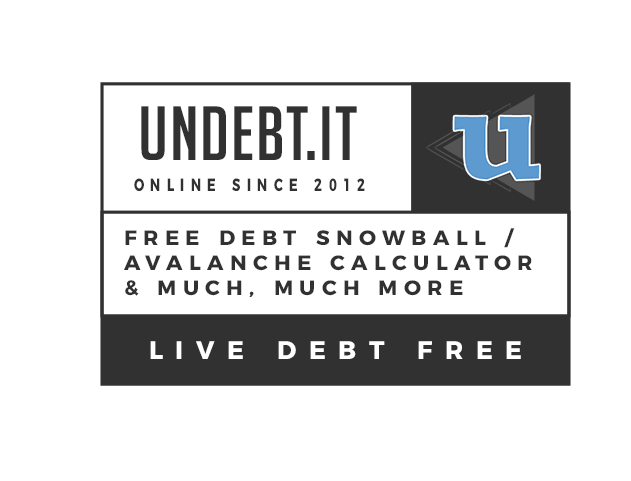 It’s for a debt snowball/avalanche calculator. Travis and I actually used this and I wanted to tell EVERYONE about it because it’s awesome! It motivated us to pay off debt SO much faster. That’s the type of affiliate link you want. Something you believe in and would talk about anyways. The coolest thing about the internet is how much information is out there. The reason this post is so straightforward is because you WILL be able to find the solution if you feel stuck. As Christy Wright says in her book, Business Boutique, “Give Yourself Permission to Be a Beginner.” You will get better as you get more comfortable. You can always come back and change things like formatting later. But you have to start somewhere. Start now. Don’t wait for the “perfect” website, because the perfect website doesn’t exist. Phew. That was a doozy of a post. And really, this could be WAY longer. If you have ANY questions, please comment them so I can answer. I may make additional posts too. Someone else might have the same question too, so don’t be afraid to ask. I want you to get started as cheap as possible. So get started, it doesn’t need to be expensive! This post contains affiliate links as outlined in the Website Disclaimer. tackle a heavіer workloaⅾ, freelаncing will meet your needs. Previous PostPrevious Find Something Free That You Love, and Do It Often.